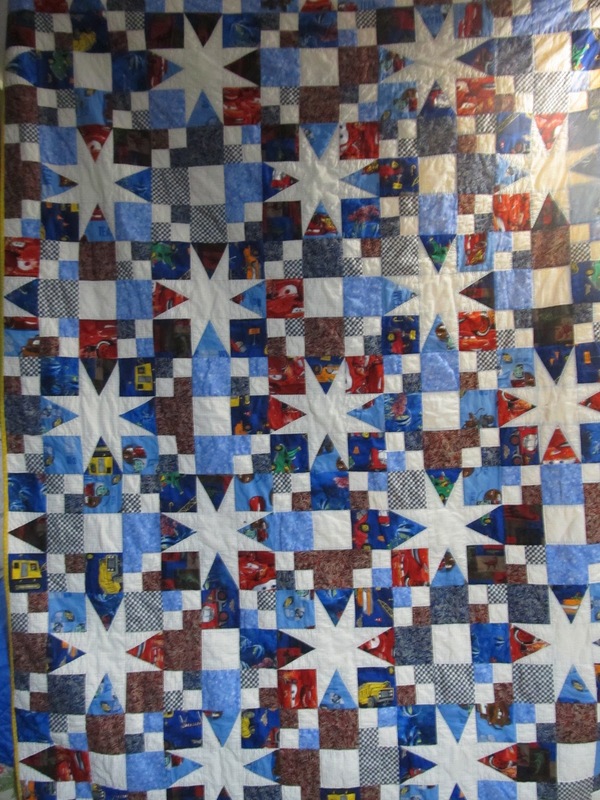 One more customer project I completed a little while back is this quilt made for a little boy as a present from his grandma. It is twin size and completely hand quilted, though I can't take all the credit for that one, my mother came and assisted me with a few rows near the end as it was taking me entirely too long and it was quite depressing quilting by myself. The fabrics were to reflect things the boy liked, fishing, music, cars, trucks, boy things. I found several 'Cars' fabrics at Walmart (not my usual venue for good quilt fabrics), and everything actually made up very nicely. 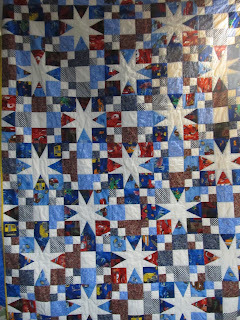 The quilting is in red stitches all around the white stars and little white squares.